Just because you are vegan doesn't mean you have to miss out on eating at fast food restaurants. 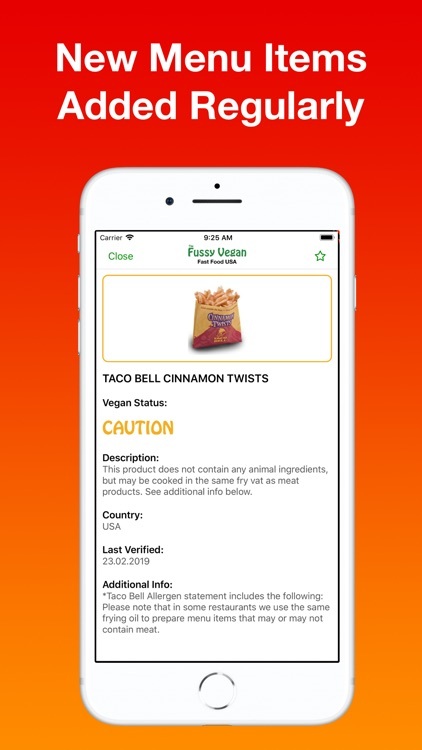 Search our extensive database of menu items and ingredients from all of the major fast food chains in the USA. 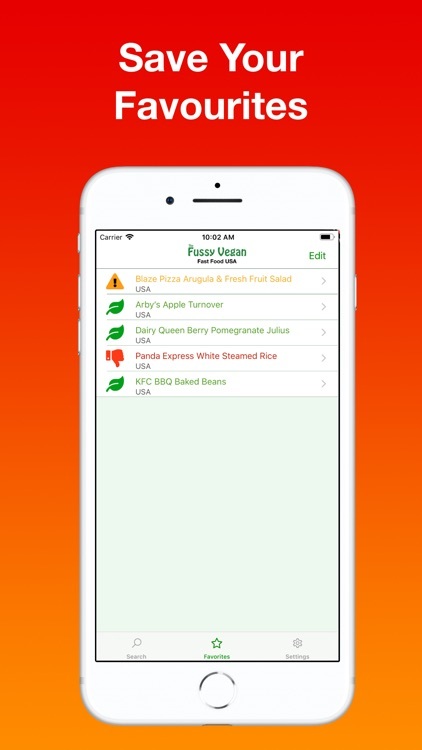 * Extensive database of menu items and individual ingredients. 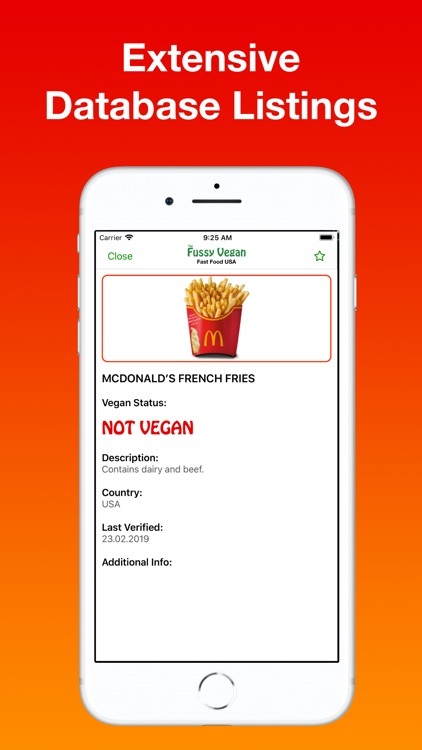 * All major fast food chains included. * Extensive listings for regional fast food chains. * database is updated regularly with new businesses and new menu items and ingredients. 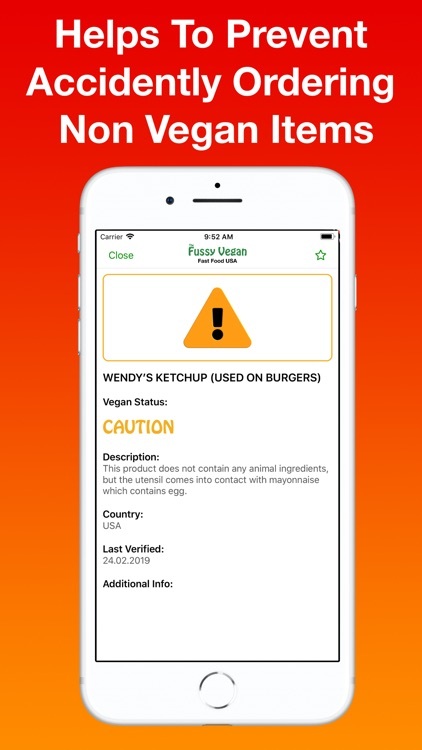 * All menu items and ingredients lists have been verified. 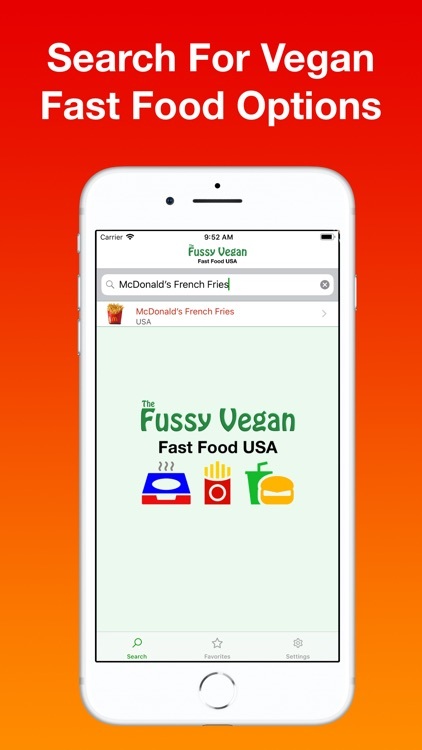 Please note that this app covers United States fast food chains only. 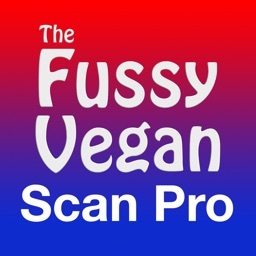 We have the same app available for other countries as well, all listed within the App Store. 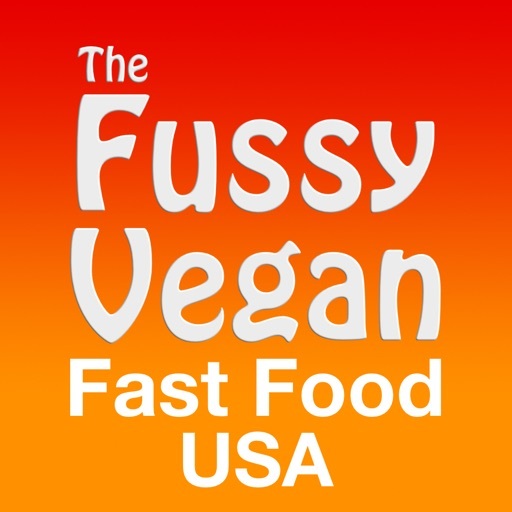 The Fussy Vegan Fast Food USA app was developed by the creators of the Fussy Vegan Website and apps as a way to easily find vegan options at fast food outlets around the USA. 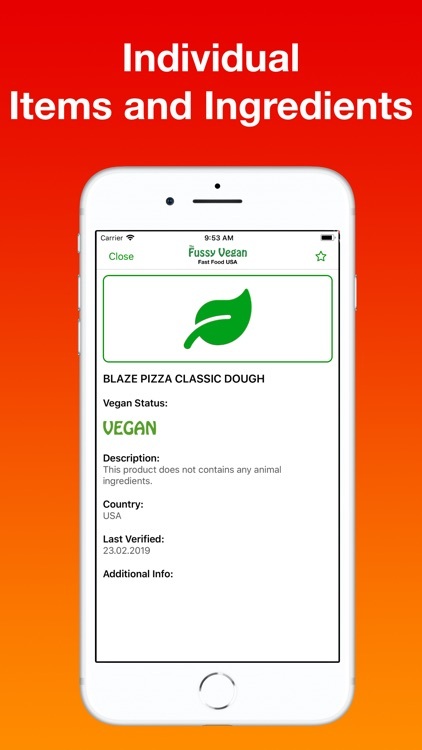 All menu items and ingredients listed in our database have been verified with the relevant company to ensure accuracy. 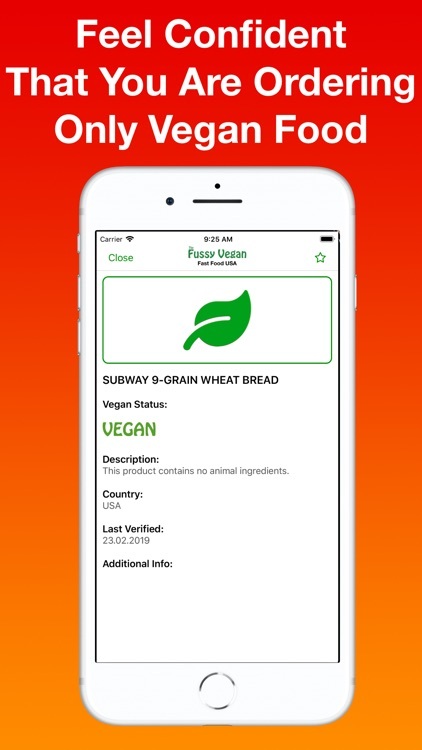 Detailed instructions on how to use the app are available on our support page. Having issues with our app? 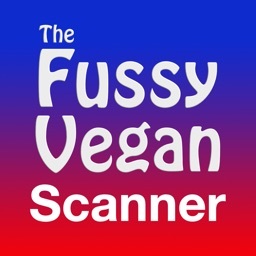 Please contact us if you are having any issues with our app and we will respond to you as quickly as possible, usually within a few hours. 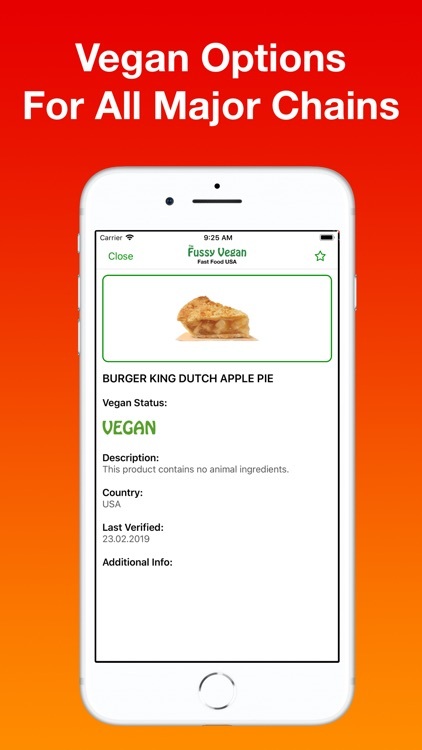 We would appreciate you contacting us first before leaving a negative rating or review, as 99% if the time we are able to resolve any issues you may be having with our app.